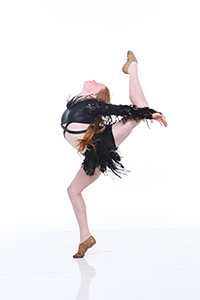 Our mission at Academy of Dance Westlake Village is to provide a creative outlet for those who share a love of dance. As a family-run business, we are committed to upholding the values of honesty and integrity in a supporting environment. We believe that everyone should have the chance to experience all that dance has to offer in an atmosphere free of judgement and negativity. We offer classes for all ages and levels. From 18 months to adult, beginner to professional. To find out more about availability, enrollments, and other inquiries, contact us. ADWV is proud to offer a full schedule of dance classes aimed to provide our dancers with the most versatile dance training around. With classes available to dancers ages 2 through Adult and from the beginner to the professional level, all of our classes are designed to educate and inspire all who dance through our doors. You can register for the full year or drop in to any class throughout our schedule for a drop-in rate; you choose your level of commitment. Click to see which classes we offer! 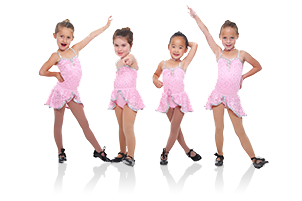 Every summer season, we offer a wide variety of Summer Dance Programs to choose from. Starting with our 6 week Summer Class Session, we offer classes for ages 2 to adult, beginner to professional level, in Ballet, Tap, Jazz, Hip Hop, Contemporary, Choreography, Dance History, Heels, Improv, Lyrical, and much more! In addition to our Summer Classes, we also offer TWO separate Princess Dance Camps for our youngest dancers as well as a Classic Dance Camp for our versatile dancers ages 7+. And finally, for those dancers who are interested in really taking their dance training to the next level, we are offering TWO intensives this summer… our Ballet Intensive and our 5th annual Summer Intensive! Click to see more information on ALL of our wonderful Summer Programs! Our Master Class Series features some of the hottest choreographers the industry has to offer. These hour and a half classes are aimed at providing dancers with the opportunity to work intimately with true master class teachers who are not typically accessible to the average dancer. Come join us for these unprecedented classes and take your dancing to the next level! Click to see the schedule and sign up today! For students looking to really hone their skills or perfect a particular routine, we offer private lessons with the faculty member of your choice! These one-on-one classes are available in every dance style and can be reserved for 30 minute or 60 minute sessions. Check out our Private Lesson page for more information! Our company is comprised of dedicated dancers who are interested in sharing their love of dance with a wider audience. Company members are trained in multiple styles in order to improve their placement, technique, and versatility while expanding their understanding of style and overall quality of movement. Company dancers attend a minimum of 6 competitions per season with various performance opportunities and special auditions and workshops available to them as well. Being a part of a competition team encourages teamwork, develops work ethic, and builds long-lasting friendships. We encourage everyone to audition for our company! Click here for more information on our Nationally ranked, award-winning Company!